Dissatisfaction, doubt and discontent are so 2015!!! Are You Ready To Join 2016 and Enter The Empowerment Evolution. A place to Let GO of fear, doubt and soul purpose sabotage to LIVE, LOVE And LEAD An EXTRAordinarily Enriched Life Everyday, totally filled with LOVE? Well let’s Get Going As We Would Hate The Greatest Show Of Your Life To Start Without You!! I believe if you are here today, you have been magically guided here because you are ready to take that next step within a miraculous transformation in your life. It’s about going deeply within, working your way from the inside, out. Which I have found over the last decade of working on my own journey, and with thousands of clients, really is the most profound way to make long lasting change within your life, business, relationships, health and finding direction and purpose. In a world where our ego desires answers, and external goals to attach too, our heart and soul knows that is it the journey, not the destination, we are here to enJOY. In the world of personal development I have found quick fixes are short lived and as soon as the water gets a bit rocky those pesky noisy thoughts return and try and drag you back under … this is where soul coaching and energy transformation works differently. Instead of increasing the idea of this “false” self attached to money, success, competition and power, tapping into the infinite, love filled, pure power of your soul is simply the “new” way of BEing, and with it comes great, great FREEDOM. I believe the more you know yourself inside, and yes, your pesky world ending thoughts, the more you are able to love all parts of you and in these moments you remind yourself who’s boss and the stillness returns and the natural joy and wonder in your heart expands. 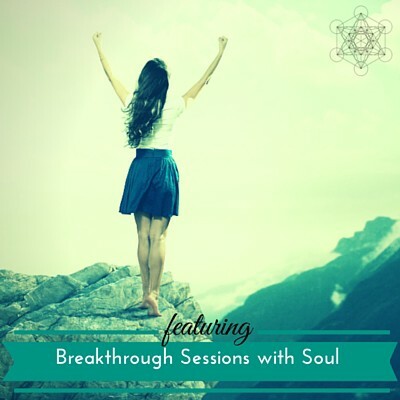 If you know nothing about your soul or energy but are intrigued, imagine a session like this. If you never cleaned the windows in your home or car and slowly as the weeks and months go by the grease and dirt build up. Imagine, what your view of the outside world would look like? And how much chaos would be caused if you were trying to drive through this view??? Well this is what happens to our energy if stress, emotions and experiences are not completely dealt with they it impact the way we see ourselves, others, our work and our life. So every now and then we need some clarity, support and tools to give ourselves a beautiful, nurturing and enriching tune in, tune up and reigniting of our illumination. Looking for some 1:1 loving? 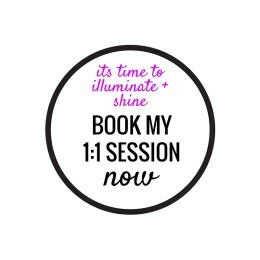 These 1:1 sessions are offered via remote activation, skype or telephone, and limited weekly in person availability in Sydney, from Manly and Mosman. They can be booked by purchasing your session choice below and then you will be sent a link to book in an available time. Evenings and weekends are available for those who work 9-5pm. To FIND MORE INFO on each session scroll below. Don’t just take my word for it, read these kind words from an amazing client. Who would benefit from working with Kyla? Why is working with Kyla different from other coaching programs? Our time together is unique, personalised, intuitive, energetic, practical and tailored just for you and your key intentions. The structural foundations I work with have been created and guided through my heart and soul bringing together the best of the best of a decade of personal and spiritual development and training, from world renowned spiritual teachers and coaches. All bundled up in a neat and funky little package that will blow your mind and awaken your soul. And of course the obvious answer working with me is unique and different from other programs because I am unique and different from other facilitators, coaches and energy workers and have worked with hundred of clients and crafted my own special art in this field. I will push you when you need pushing, I will hug you when you need a hug, I will challenge you when you get stuck, I will empower you to be free, to take control, to enjoy adventure, to step outside your comfort zone, to make change your new best friend and to know exactly where you want to go, how to get there and with enough confidence to allow the spontaneity and flexibility for miracles to occur. Level 1: Straight to the point clarity and change …. 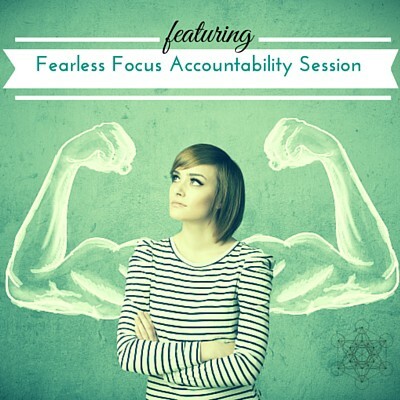 Fearless Focus Accountability Session: This intuitive soul session is for those moments when you have a decision or life changing choice you can’t quite make and you need a little intuitive guidance and support to go deeper, gain clarity and be accountable and prepared for the change. 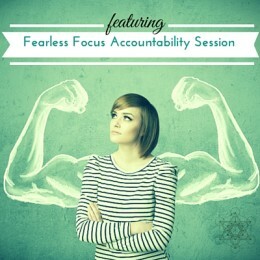 This session is empowering, short, sharp and straight to the point. It will step you out of the chaos and noise of your mind and into your heart and soul finding the answers you seek and moving you effortlessly towards your desired goal and creating your great and a life you love. These sessions are terrific if you have a niggling issue, be it a health, career or relationship challenge or a block that is keeping you stuck. These sessions are ONLY offered via skype or telephone and can be booked by clicking here. 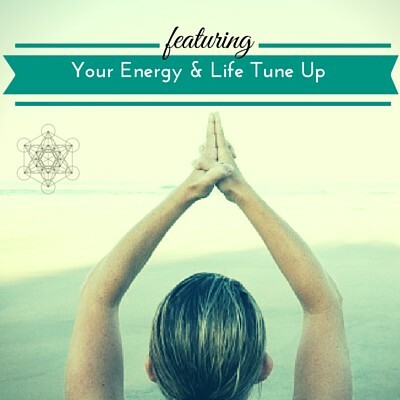 Experience a Personalised Energy and Life Tune Up: We are always cleaning, detoxing, servicing and clearing out the clutter from our homes, our cars and even our bodies but often we forget about the most important part of our lives, our energy. Through the stress and busyness of life often our energy can become stagnant, stuck or depleted and so this powerful one hour session to balance your chakras, realigns all of your energy centres and give you a sensational energy and crystal healing experience as you lay down relax, recharge, rejuvenate and come back to your calm and peaceful self feeling energised, grounded and ready to take on the world again. The most EXTRAordinary thing about this session is that it can even be done anytime, anywhere and even while you are sleeping, crazy hey. You see energy doesn’t sleep and so I offer these “Tune Ups” remotely (which means I lock in a time and send the energy to you when you are asleep and then send you a report via email) and for all the skeptics out there yes people do wake up feeling different but if this is a bit too out there to start you can also enjoy this session via skype or in person at our tranquil bush location in Mosman. All this means is that you get to choose what works best for you, sit back relax and your energy make over will be done for you. If you know nothing about energy but are intrigued by this session, imagine it like this. If you never cleaned the windows in your home or car and slowly as the weeks and months go by grease and dirt build up what would your view of the outside world look like and how much chaos would be caused if you were trying to drive through this view. Well this is what happens to our energy and it impacts the way we see oursleves and our life, so every now and then we need the support and tools to give ourselves a beautiful, nurturing tune up. These sessions can be booked by clicking here. Let’s dive deep and uncover even more EXTRAordinary magic & mystery in your life. A Breakthrough session is approximately 90mins long and allows you to go a little deeper to locate the root cause of what is holding you back or creating chaos in your health, your business or your life. Once we have located and released the “why or what” is limiting you we can move onto “transforming how you think and feel” so that you walk away with answers and feeling more confident and empowered within yourself and your life. These sessions are ideal for anyone seeking clarity within their life, including children and teenagers, suffering from anxiety, depression, high sensitivity, negative self talk or living with stress related symptoms, illness or any other health challenge you have been unable to find a solution to. Your session is a personal and unique journey and where we go, how we work and what we focus on is intuitively and individully designed for you and with you! We will begin with a discussion about your current life and any challenges you are facing so that together we can uncover where you want be to and how we can ensure you you walk away with the best strategies to getting you there. If required we will also discuss ways in which we can continue our work together to support the next stage of your personal transformation. These sessions are offered in person or via skype or telephone and can be booked here. LOOKING for an ONLINE transformative adventure?